With accolades such as being named as one of the “12 Top Destinations for 2017” (Forbes Travel Guide), #19 among “The 26 Hottest Food Cities” (Zagat), #6 among the “Top 10 Beer Cities in the U.S.” (Infogroup) or #3 “Sportiest Cities in America” (Men’s Health), it’s no surprise that we welcomed more than 15.6 million visitors to the Raleigh area last year. What might be surprising—or at least not as well known—is that those visitors spent approximately $2.4 billion, added a combined $242 million in state and local tax revenue and saved the average family in the county $663 on their personal property tax. 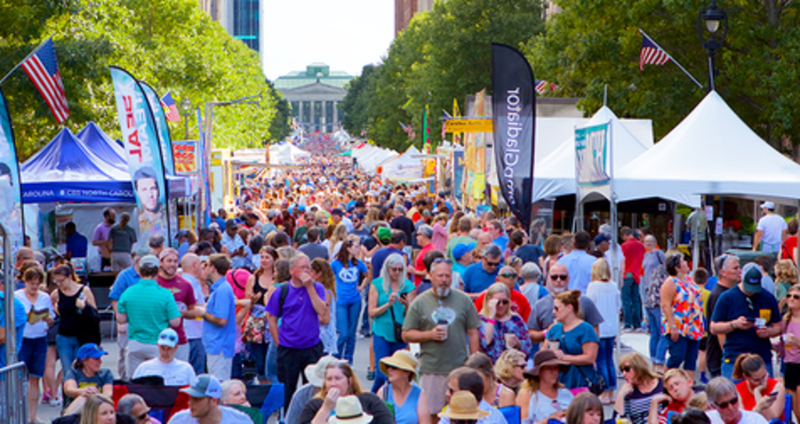 Tourism and the visitor industries have always been an important slice of the Raleigh and Wake County economy. They are also a manifestation of the strong and diverse quality of place we enjoy and the smart and savvy brand we have built and nurtured. As the destination marketing organization for all of Wake County, we at the Greater Raleigh Convention and Visitors Bureau (GRCVB) want to make sure we continue to strengthen our community and our “destination” assets. A strong, well-marketed destination leads to a greater numbers of visitors. Some may visit to check out all that our area has to offer; others may find their visit has piqued their interest in considering Raleigh as a new home—either for themselves or their businesses. Making sure we tap and leverage the area’s full potential as a destination is one of the main reasons the GRCVB is spearheading the creation of a Destination Strategic Plan with Jones Lang LaSalle (JLL). Through the insights we learn from the process, we’re hoping to have the tools to better prioritize the investments needed to keep Raleigh a place where people will want to visit and—by extension—discover and support the smart and savvy lifestyle and entrepreneurial and innovative business climate that are the backbone of our dynamic region. The JLL team is currently in the assessment and discovery phase of the project. If you haven’t already, please take a few minutes to contribute your thoughts to a stakeholder survey that will further inform this phase. Tina works with the Greater Raleigh CVB in a consulting role as business development manager and is serving as liaison between the CVB and Jones Lang LaSalle (JLL) during the Destination Strategic Planning process. Tina's strategic planning skills come in handy, as along with her work life, she strategically plans the lives of her husband and two children.